C goes to a school where there is a uniform policy, but the students can wear any kind of belt they want. 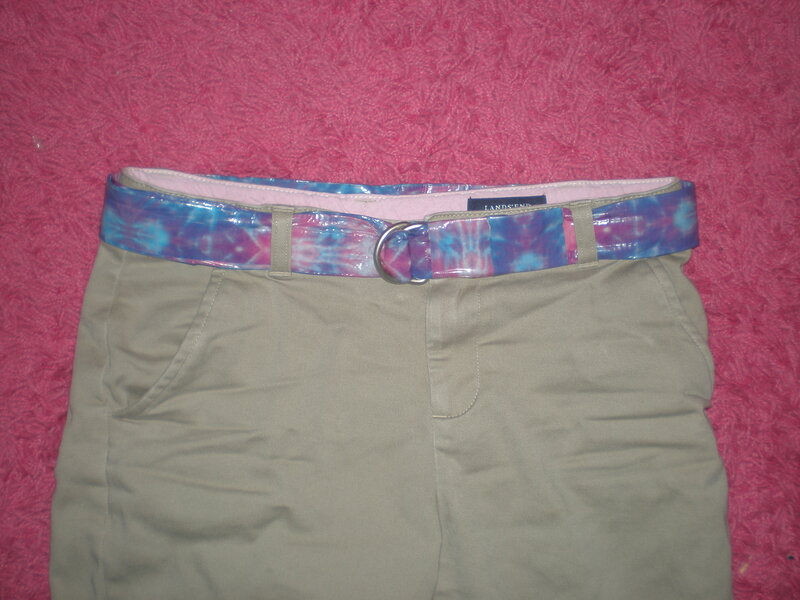 This gave us the idea to make a belt out of duct tape. C loves it and it looks cool as part of a uniform! Note: Duct tape comes in all kinds of cool patterns these days. We chose one with a tie-dye design. Measure waist and cut a piece of duct tape that is about a 15” longer than waist. Place tape on flat surface with sticky side up. Cut a piece of ribbon the same length as tape. Place ribbon right in the center of the tape. (It is helpful to have one person hold down one end of the tape and the ribbon while the other person carefully places the ribbon in a straight line down the tape. Carefully fold edges of tape over ribbon. Fold one edge at a time. If you use 1 ½ inch ribbon the tape should meet in the center of the ribbon. The end result will be a thick tape strip with the ribbon encased inside. Slide belt buckles over one end of the tape strip. Fold tape down over buckles. Cut second piece of tape about 3 inches long. 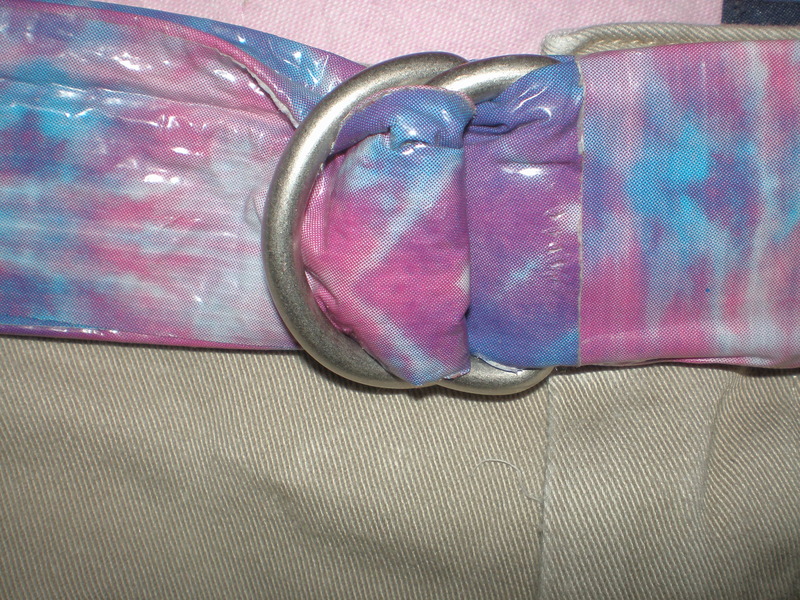 Wrap around the end of the folded tape strip to secure the buckle. If it is too long, trim off excess. Look in the mirror. You look pretty cool, right?